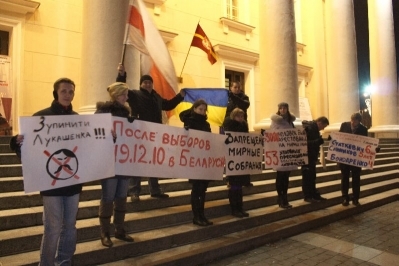 Candles were lighted and banners were unfolded by the town hall. 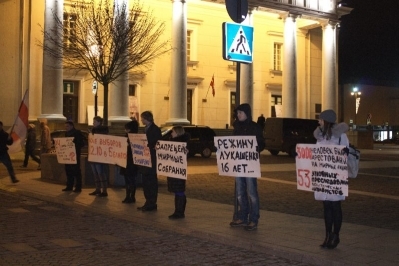 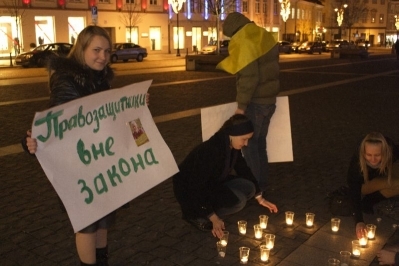 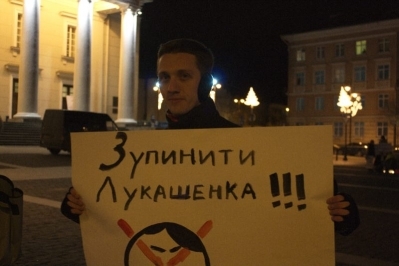 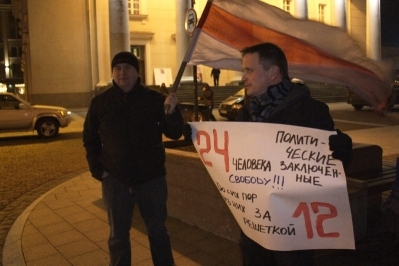 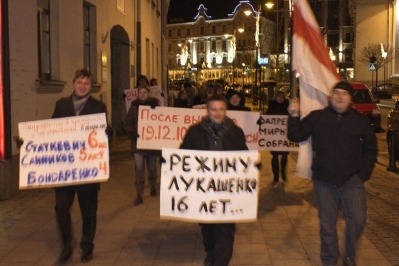 Lithuanian citizens were reminded of oppressions against civil activists and the political opposition in Belarus. 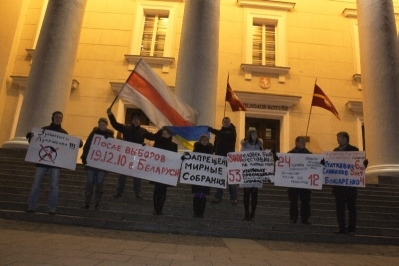 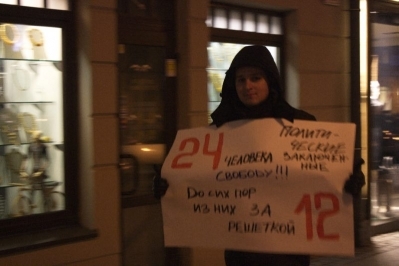 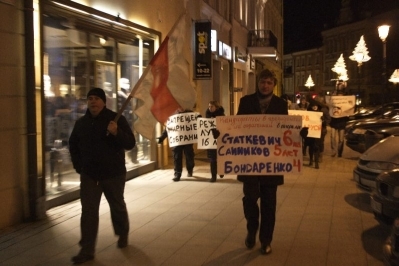 Afterwards, eighteen activists marched along the central streets of the Lithuanian capital.